Pocono Mt. 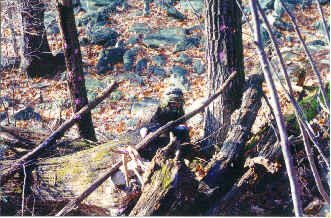 Paintball, Nesquehoning, PA 18240 Acres of paint ball playing fields including streams, thickets, oak flats, hollows, hills, buildings, forts, trenches, and sand bag bunkers. Besides great playing fields There is a complete facility w/ hot showers, change rooms, pavillion, & gift shop. Near Jim Thorpe- the Western Poconos. Jack Frost / Splatter, Blakeslee PA 18610. Experience the competitive thrill of paintball games at Splatter! 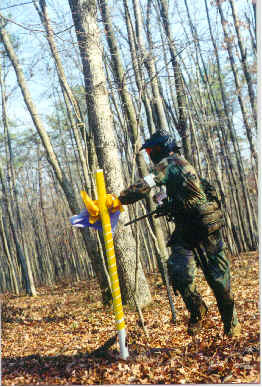 Paintball Games are an adrenaline pumping combination of tag & hide & seek. 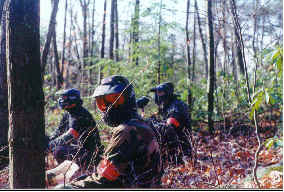 Open April-November, closed Easter & Thanksgiving, to adventurers of all ages, Paintball games at Jack Frost can be enjoyed by individuals or teams.